As a pregnant mother, you’ve probably heard about prenatal testing but you’re not convinced that the risks are worth it. Read about a new, non-invasive test that has a high accuracy rate and decide if it’s right for you. Amniocentesis, chorionic villus sampling, triple screen, maternal serum alpha-fetoprotein test, sonograms -- there are many options for doctors to see if the baby you are carrying has a chromosomal condition such as Down syndrome. However, these tests may not always be accurate, and some have serious side risks, such as miscarriage. Who should get prenatal testing? Almost all pregnant women are offered some sort of prenatal testing, but you may be unsure if you should accept the opportunity. We spoke about prenatal testing with Ken Song, MD and CEO of Ariosa Diagnostics, which has developed the Harmony Prenatal Test -- a non-invasive prenatal blood test that offers all pregnant women an early, accurate, personalized and more affordable option for detecting common genetic conditions, such as Down syndrome. Traditional first-trimester screening, which analyzes particular proteins that serve as “markers” for Down syndrome, is often offered in conjunction with a nuchal translucency (NT) measurement (which is performed via ultrasound). While less invasive, this type of test is also less accurate. “Together, these tests have an average accuracy rate of about 85 percent and a false positive rate of 5%,” shared Dr. Song. To learn more about prenatal testing, trisomy testing, chromosome conditions and patient advocacy organization resources, please visit the Ariosa Diagnostics website. 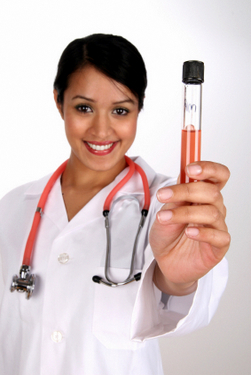 Why should I consider prenatal testing?